My son Daniel brought home “mistake” artwork. His teacher drew on each of their pages, and they had to transform the mistake into a new picture. Daniel had the two humps you see in the middle and what emerged were gravestones. “I didn’t see what they were until I turned the page a different direction,” he explained. Life is full of mistakes, and they are usable, even our worst sinful failures, in the hands of a creative God. The nameless adultress woman could be any of us. Your sin is exposed. Standing in front of Jesus, and the high and mighty who don’t care what happens to you. They just want to trap Jesus. After all, “thou shall not commit adultery” was written in stone by the hand of God. Yet, Jesus offers grace to both the accusers and accused. “You who are without sin, cast the first stone.” He kneels down, begins drawing in the sand. Maybe he is sketching a new, beautiful, healed picture of you. God has every right to judge us for breaking his law. But instead, he takes our mistakes, the sin that so easily entangles, and transforms us with his love. Jesus isn’t glossing over sin. He tells the woman to go and sin no more. He expects us to live a transformed life. Justice and grace unite on the cross to form a new picture for humanity. He is not distant from our struggle, he is intimately aware of what we have already drawn on our page. Christ drew resurrection over death, transforming our sin warped picture of his original design. What new picture is God drawing of you? Devotionals are posted every Tuesday at 7pm. 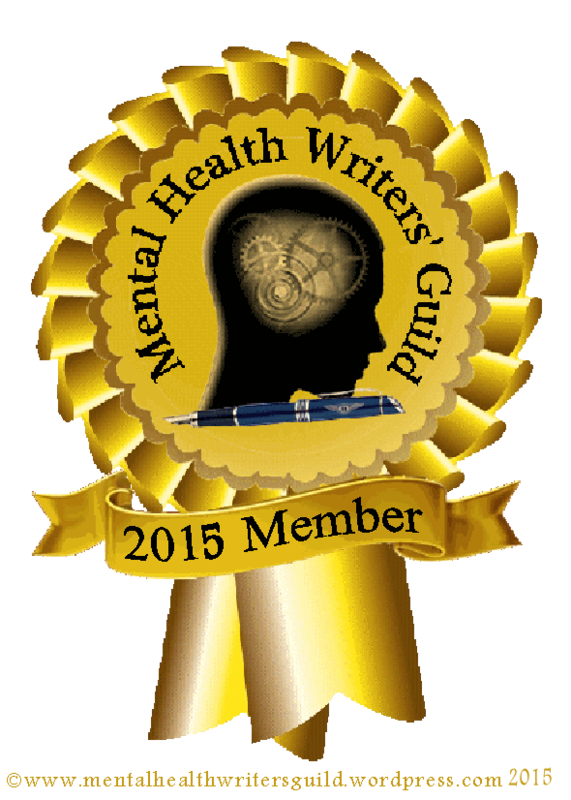 Our guest blogger Kay Em Ellis and I met at a Serious Writers Conference recently. Immediately I felt a kindred heart in the fight against despair. At the end of our weekend, with our arms up in worship, Kay came to stand beside me and I felt deeply encouraged. Such a sweet and amazing woman who is sensitive to the Spirit’s calling. Kay has traveled the world! She uses her gift of writing to reflect God’s love through poetry, fiction, and lessons God is teaching as she travels. “The Spirit you received does not make you slaves, so that you live in fear again; rather, the Spirit you received brought about your adoption to sonship. And by him we cry, ‘Abba, Father’” (Romans 8:15 NIV). I thought depression would go away. It didn’t. When I gave my life to Christ, I signed up for the World Race mission trip. I lived in eleven countries in eleven months. I felt whole and complete and at peace in Christ. Living the Christian life—ministry six to seven days per week, constant community, intensive Bible study while living out of a backpack—God used many opportunities to refine me. He sifted me through several bouts of depression and stretched me to what felt like the breaking point multiple times. He didn’t do it to be mean. He did it because He loves me, and I needed it. But when I melted down at a bus station in Lima, Peru, I failed to lean into God, and rest in His strength. I crumbled. I’ve felt unworthy of love and blessing like I don’t deserve a joyful life, spouse, or even children. So much changed in my heart and life after I met Jesus, but that didn’t mean all my problems vanished. The Lord had to teach me to break agreement with shame and depression—to wage war against them. The battle wasn’t easy, and I came close to calling it quits several times. It’s too hard! I cried out in my heart—and even aloud during heartfelt prayer. “I can’t do it anymore!” But, each time I said “I can’t,” God countered the lie with, YOU CAN. Sometimes I believed Him, sometimes I didn’t. It was seven in the morning when I broke in Lima, Peru. I sat at the bus station, waiting to climb aboard the bus that would take my squad to Ecuador. Silent tears poured as I replayed how badly I always messed everything up, specifically one thing I’d been struggling with from my past. I criticized myself, heading toward a destructive path of self-condemnation. Shame bubbled up. My thoughts spiraled into a dark chasm I hadn’t realized still existed in me. But God knew just how deep that darkness ran. He wanted me to face it so I could overcome it. Cheeks moist, I tipped my head back and closed my eyes. The peace of God overshadowed me; then He showed me a vision I’ll never forget, Jesus on the Cross. “Jesus loves you.” The concept of love is so skewed in our society, and I don’t think people understand what it means when I try to share His love. I certainly didn’t before I really encountered that love. Even after I chose to follow Christ, it took a long time to comprehend that God could love us so completely, despite our rejection, and the muck of our deepest sins. He loved us first. He loved us when we hated him. It’s His nature. He loves like no one else because He isn’t like anyone else. His Holy Spirit was sent to live in those who have repented of their sins and turned to the Son: to advocate for us, to convict us, and—in this case—to comfort us. My conviction came through the song “You Are More” by Tenth Avenue North. The Holy Spirit sang that song over me, and I soaked in the lyrics while in Ecuador. I am so much more than who this world tells me I am. Reader, you are not the sum of your past mistakes. Allow the Holy Spirit to remake you. Lean back, absorb the truth of God’s redeeming love. Devotionals post every Tuesday at 7pm. If you would like to appear as a guest blogger, please contact me and share your story or poem.